This study explores bone marrow function in patients with defective WNT1 signaling. Bone marrow samples showed increased reticulin and altered granulopoiesis while overall hematopoiesis was normal. 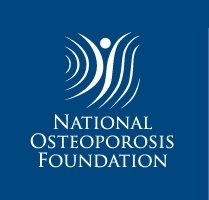 Findings did not associate with severity of osteoporosis. These observations provide new insight into the role of WNT signaling in bone marrow homeostasis. WNT signaling regulates bone homeostasis and survival and self-renewal of hematopoietic stem cells. Aberrant activation may lead to osteoporosis and bone marrow pathology. We aimed to explore bone marrow findings in a large family with early-onset osteoporosis due to a heterozygous WNT1 mutation. We analyzed peripheral blood samples, and bone marrow aspirates and biopsies from 10 subjects with WNT1 mutation p.C218G. One subject was previously diagnosed with idiopathic myelofibrosis and others had no previously diagnosed hematologic disorders. The findings were correlated with the skeletal phenotype, as evaluated by number of peripheral and spinal fractures and bone mineral density. Peripheral blood samples showed no abnormalities in cell counts, morphology or distributions but mild increase in platelet count. Bone marrow aspirates (from 8/10 subjects) showed mild decrease in bone marrow iron storages in 6 and variation in cell distributions in 5 subjects. Bone marrow biopsies (from 6/10 subjects) showed increased bone marrow reticulin (grade MF-2 in the myelofibrosis subject and grade MF-1 in 4 others), and an increase in overall, and a shift towards early-phase, granulopoiesis. The bone marrow findings did not associate with the severity of skeletal phenotype. Defective WNT signaling associates with a mild increase in bone marrow reticulin and may predispose to myelofibrosis, while overall hematopoiesis and peripheral blood values are unaltered in individuals with a WNT1 mutation. 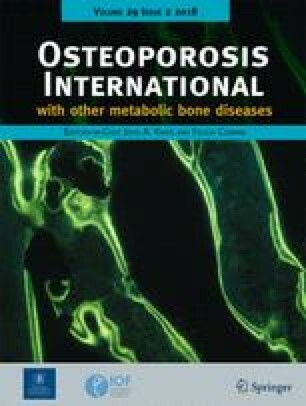 In this family with WNT1 osteoporosis, bone marrow findings were not related to the severity of osteoporosis. The online version of this article ( https://doi.org/10.1007/s00198-017-4309-4) contains supplementary material, which is available to authorized users. All research protocols were approved by the Research Ethics Board of Helsinki University Hospital, Helsinki, Finland. All study subjects gave their written informed consent before participation. This study was financially supported by the Sigrid Jusélius Foundation, the Folkhälsan Research Foundation, the Academy of Finland, the Foundation for Pediatric Research, the Helsinki University Research Funds, the Swedish Research Council, the Novo Nordisk Foundation, the Swedish Childhood Cancer Foundation, Helsinki University and Helsinki University Hospital through the Doctoral Programme in Clinical Research, the Biomedicum Helsinki Foundation, the Finnish Medical Foundation, the Jalmari and Rauha Ahokas Foundation, and through the regional agreement on medical training and clinical research (ALF) between Stockholm County Council and Karolinska Institutet. ESM 1 (PDF 38.0 kb). ESM 2 (PDF 40.8 kb). ESM 3 (DOCX 135 kb).